Q: Is the zipline course kid friendly? What is the age requirement? A: Yes! You must be age 10 or older. A legal guardian must sign to allow kids under 18 to zip. Q: Can you slow yourself down if you feel like you’re going too fast? A: No, you cannot slow yourself down while ziplining. But there’s no need to worry! We promise that you aren’t going too fast, even if it feels like you are. Even though there are not hand brakes on this zipline course, there is a braking system at the end of the line. Our guides will make sure that you slow down in a proper and very safe manner using this braking system. Q: Can you rent a GoPro camera? Or are there photos available for purchase after the tour? A: Yes, you can rent a GoPro camera to use during the tour. The footage you capture during the tour on your rental camera will be given to you after the tour. There are no other photos taken during the tour to purchase after so if you would like to have pictures we recommend using your cell phone, camera, or a GoPro camera. Q: How much walking is involved between ziplines? 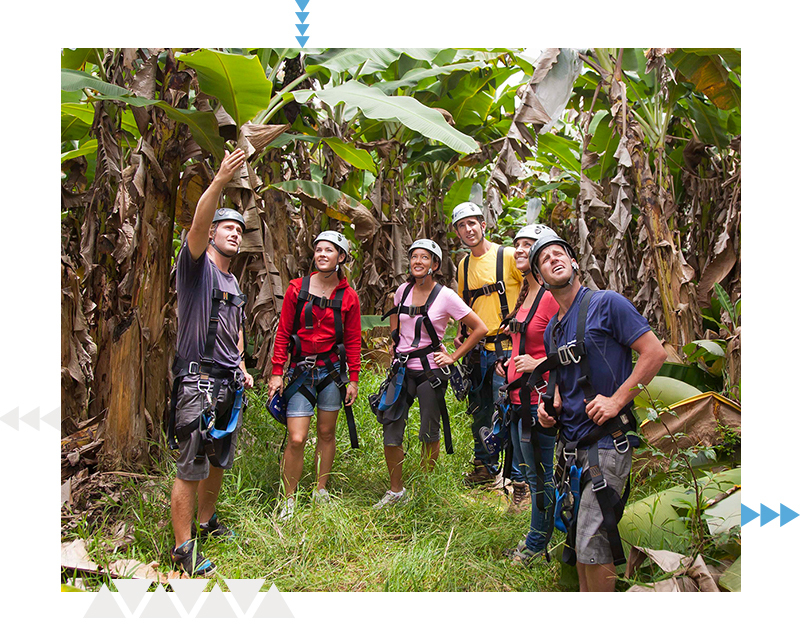 A: Ziplining isn’t strenuous, but you need to be able to hike about 1/2 mile and climb steps. We have had people from age 10 to 100 do the course without problems. Q: How long does it take to drive to the course from where I’m staying? What is the best way to travel to and from the zipline course? A: Check-in for Skyline Akaka Falls is at our retail store located at 28 Honomu Road Honomu, Hawaii. We recommend looking up the driving route before your tour to allow yourself plenty of time to get here. The best way to get to our office is by car. Many people choose to rent cars during their time on Big Island. Q: How long does the zipline tour last? A: The 7-line Zip Adventure Tour lasts for two and a half hours. Our Zip N’ Dip Tour lasts for five hours. Last but certainly not least, our Volcano N’ Zip Tour lasts all day. 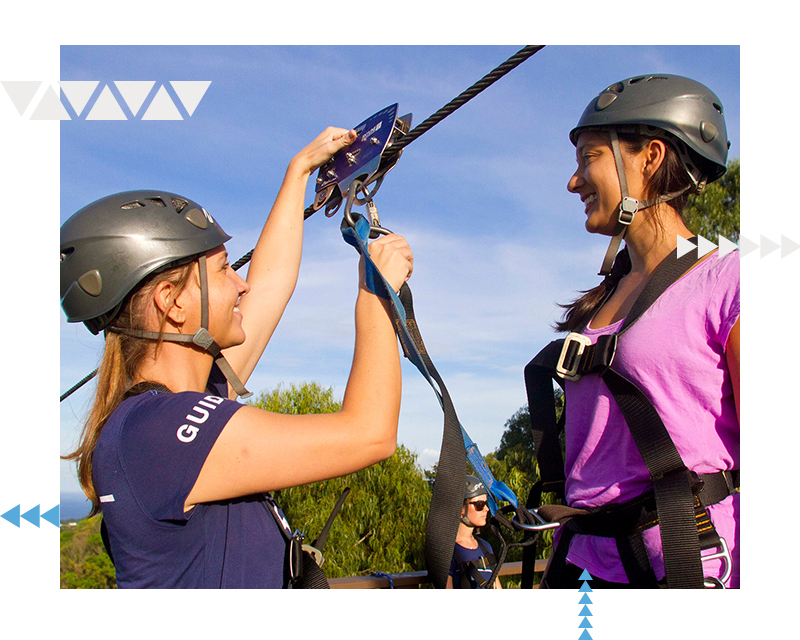 A: All zipline riders must weigh between 80 and 260 pounds. Q: What are some things to do near the zipline course? 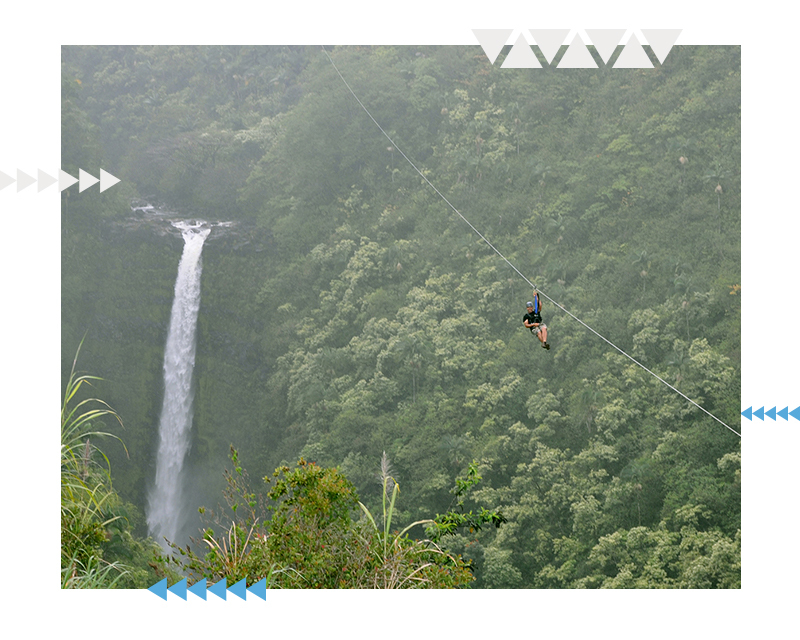 A: Our Big Island zipline course is located near Hilo. The Hilo-Hamakua Coast encompasses Akaka Falls, Hamakua Coast Scenic Drive, Rainbow Falls, and so much more. There is a lot to do in this area. Check out our blog about activities to do in this area. Q: What should I wear to zipline? A: Shorts and a short-sleeve t-shirt are recommended clothing options because of the hot weather here in Hawaii. Sunscreen is highly recommended. Here’s a pro tip to think about when you are packing your clothes for vacation: wearing brightly colored clothes will make pictures look amazing! For your safety, we require that you wear shoes with a fully enclosed heel and toe. Tennis/athletic shoes or hiking type shoes are best. Shoes must be snug to your foot, so no loose-fitting or un-laced Converse-style shoes are allowed. Q: Can I bring my camera or cell phone? A: Yes, you may bring your camera/phone along to snap photos along the way. You can also rent a GoPro camera (you’ll see this option when you check out). If you want to bring your own GoPro camera, we have mounts on many of our helmets and other GoPro camera mounts available for use.